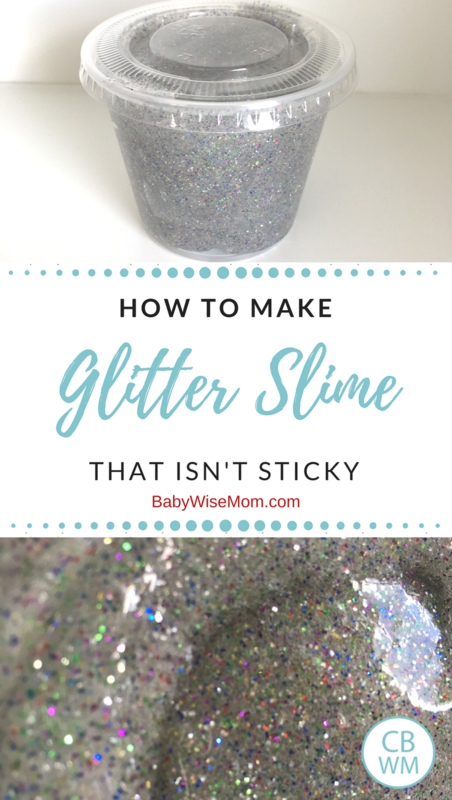 How To Make Glitter Slime That Isn’t Sticky. 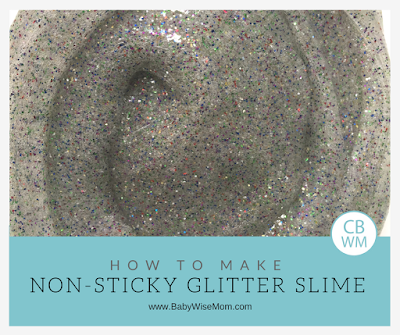 This is great for birthday parties, class activities, or sensory learning activities. We have been making slime for years. 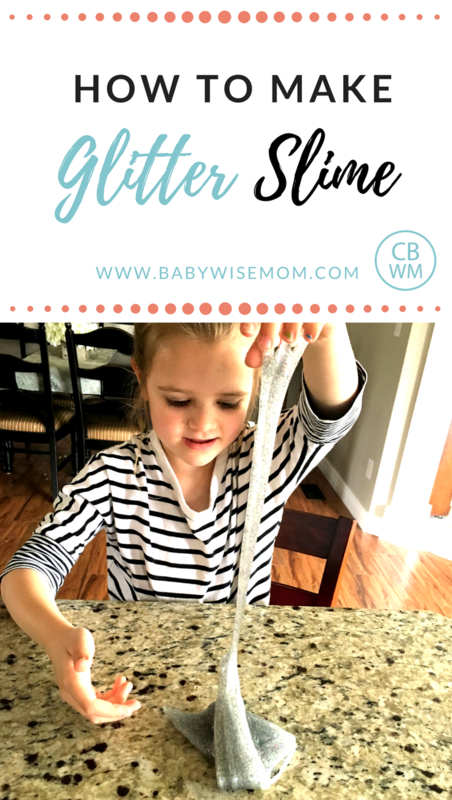 My kids have all loved making and playing with slime. I recently found a new recipe and decided to give it a try. It is AMAZING! It is less sticky than my old recipe. 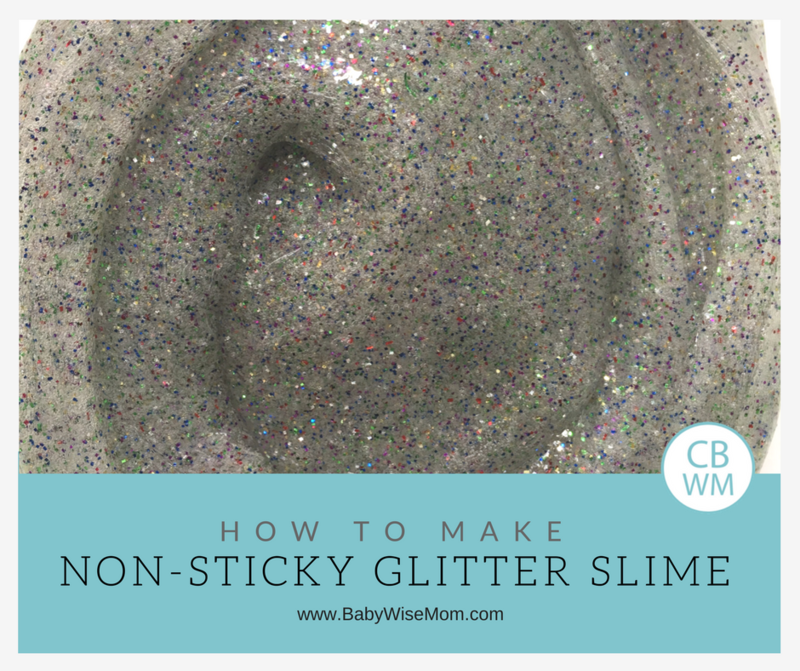 Another amazing thing about it is that the glitter stays IN the slime. We don’t get little flecks of glitter everywhere. I had to share it with you. 4-5 ounces school glue (you can use white, clear, or glitter). This is one regular sized bottle of glue. The white is usually 4 ounces and the clear is usually 5 ounces. 1 Tablespoon contact solution (I use BioTrue, so that is what I used in this recipe. I read it is one of the only brands that works for this–why? I know not). You will also want a plastic baggie. Put all ingredients into the baggie. 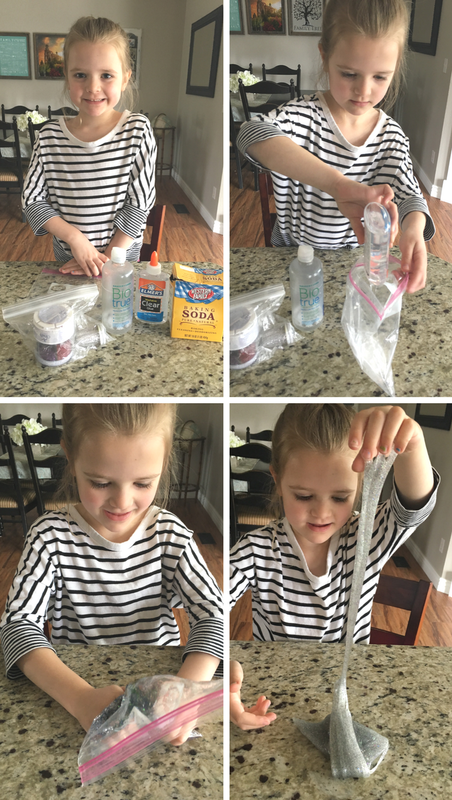 Have your child squish the baggie until all ingredients are mixed together. You might need to add more contact solution. You want the slime to not stick to the sides of the baggie. Just add a bit until you get the level of stickiness correct. You can store it in a baggie, Tupperware, or 5 ounce snack cup. We used clear glue to make the slime and every color of glitter we had. It of course resulted in a gray-ish color, which Brinley loves because that is her favorite color.